For many people, September marks the things like vacations ending, children going back to school, and the arrival of the Minnesota State Fair and its wrap-up on Labor Day weekend. It’s also one of one of the best times of the year for repairing and reviving your lawn after it has endured the stresses of another summer. Fertilization, weed and thatch control, establishment of new lawns, and renovation of poor quality lawns should be done over the next few weeks. 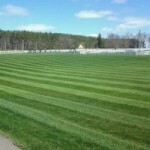 Regularly scheduled mowing, edging, trimming and leaf raking to fertilizing, aeration, weed and dandelion control will help them not only finish the season properly, but to help get them ready for next spring! Fertilizing: If you only feed your lawn once a year, autumn is the best time to do it. 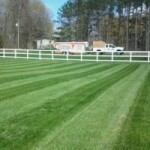 In fact, your lawn could take a light application of fertilizer in early fall and again in late fall. 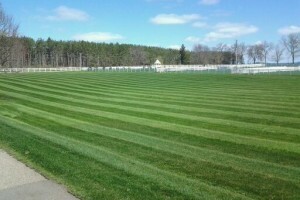 More mowing: It seems like it never ends: As temperatures cool, your lawn will grow faster. You’ll likely need to mow regularly through the end of the season. Cleanup time: It’s a good idea to clean up fallen leaves. If you don’t want to rake them up, run your lawn mower over your lawn two or three times. This chops the leaves into fine pieces so they decompose and add to your soil’s structure. Otherwise, rake up and compost the fallen leaves. Overseeding: Most grasses in the Midwest grow best when it’s less than 75 degrees F., making autumn the ideal time to overseed. Be sure to give your new grass about a month before your first average first frost so it can get established. 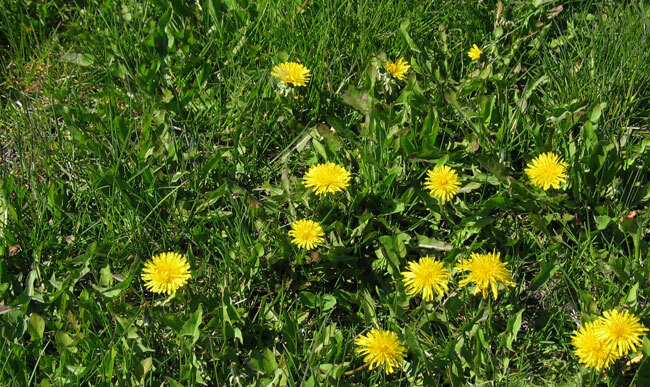 Late summer early fall provides good control of common dandelion. 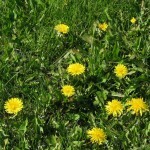 Dandelions are best treated from about mid-September to early October in the Twin Cities area. Fall is also a good time to winterize your underground irrigation system and they should be inspected in the spring before they are operated. Winterizing your sprinkler system must be done on an annual basis, before the first freeze to minimize harm to your entire sprinkler system. When temperatures fall below 32° F., the water in your sprinkler system will freeze, expand and damage the unit. To avoid this, you must winterize your sprinkler system by basically draining the water and insulating the system to prevent damage. In Minnesota, freezing temperatures can occur from fall to spring, so it’s best to winterize your system in late summer/early fall as soon as the growing season ends. 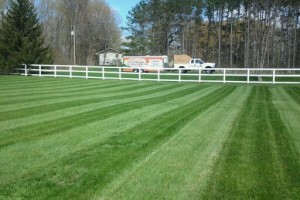 These are all services a Minnesota Landscaping Company can provide. Although many of us consider fall a time to relax and watch football, don’t pick up the remote until the lawn care is done. Next year’s lawn will thank you for it!